We’re rounding up ideas for custom home (or renovations) “must-haves” by Atlanta homeowners! As I have posted before I hear a lot of great ideas from friends, neighbors, and clients about what they have learned from their experience in building or renovating. Some ideas come up during every discussion. Lots of deep drawers in the kitchen, for example, are easier to access and keep organized that traditional cabinets. So if I list a repeat here, it’s because it’s still a great idea that people keep talking about. Whole home water and air filtration systems can protect your home from environmental pollution and allergens. With Atlanta’s mild climate, seasonal allergies can be more like year-round allergies and an integrated air filtration system can go a long way in easing allergy symptoms. A water filtration system helps filter unwanted chemicals out of water used for drinking and bathing and can address issues with hard water. Homeowners continue to love whole home central vac systems, especially with kitchen kick plate openings to make clean ups quick and easy. Whole home automated generators are being talked about on almost every site I follow and the Nextdoor apps due to all of the storms recently its a key feature (and convenient) that everyone who doesn’t have one thinks about and those of us that have them thank our lucky stars every time the power goes out, which seems more and more often in Buckhead and Vinings with all of our large mature trees. Appliances with professional features continue to be a popular choice. Homeowners love the quality and functionality of smart refrigerators, convection or steam ovens, and powerful cook tops. 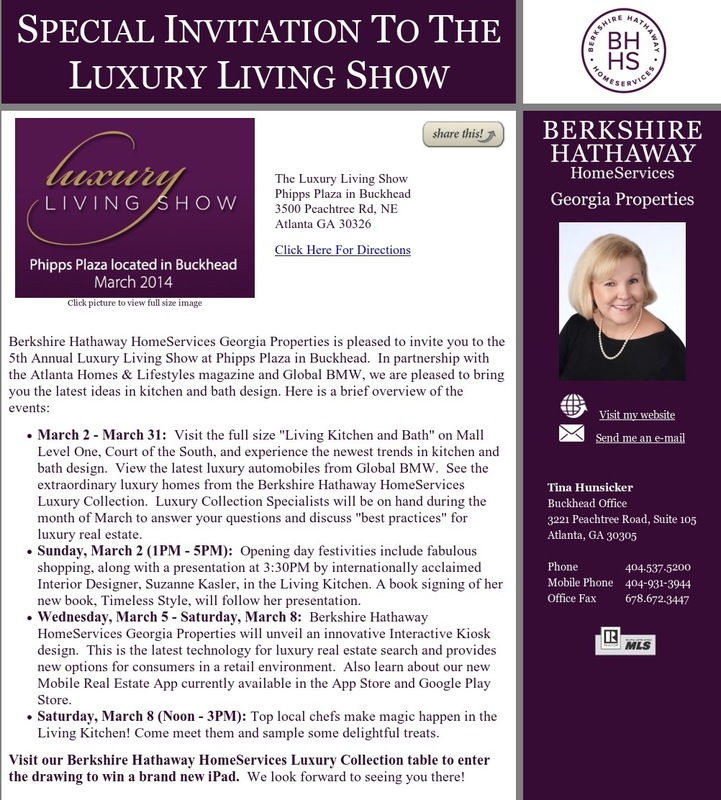 Back when Pirch was still in business I loved to see the demos of all of these fabulous new appliances and dream about upgrading my kitchen. The expensive ones that I know I’ll never be able to justify are the built in Cappuccino makers and the wine dispensers that allow you have a fresh glass of wine and not have to finish the whole bottle. The more attainable upgrades are the steam ovens. Miele was my favorite, but my clients still prefer the Wolfe professional ranges it seems. Steam has also been a hot (get it hot) topic with washers as well. With messy boys the boy Mom’s I know are always looking for new and creative ways to remove stains. A pot filler was another great idea. Get one plumbed in at the stove during construction and you’ll never have to lug a huge pot of water from the sink to the stove again. Pasta night (or a shrimp boil) just got a lot easier! I always crack up at this one as you still have to lug the pot to the sink to empty and wash it. But from my clients I’ve heard they just like the look of them as well. Separate drink stations or refrigerators have come up every time I’ve had this conversation for years. But a new twist on that idea is a full refrigerator in the pantry, great not only for the kid’s drinks, but as extra space for parties and holiday meals. Those of that have been using the “beer” fridges in the garage for years love the idea of having it built right in. Careful planning for electrical outlets and USB outlets is important as technology becomes more and more a part of our lives. Many of our homes revolve around the kitchen but thinking about placement of USB outlets in the home office is important too; no more crawling under the desk to find a plug for your devices when they are planned at desk level! A new trend seems to be in planning ahead for one-floor living. Dual master suites, one on the main floor and the other upstairs with family bedrooms allows for parents to be close to children at night during younger years with a guest suit on the main floor, and then the option to move down to one floor living in the future. This also works well for families who have grandparents visiting frequently, giving them privacy and space without having to deal with stairs. Several people also talk about dual laundry rooms if space permits. Depending on your needs, a main laundry room on the bedroom floor and a smaller stackable laundry unit on the main floor or in the master closet can be really practical. Although soaker tubs are still popular, people are putting a lot more thought into their showers. From multiple shower heads, steam showers, custom sound and lighting and amazing tile finishes, showers are getting the attention they deserve. One great tip is a heated bench seat in the shower. Think about how great those heated floors are, but for your tush! One person even mentioned a built in coffee mug or wine glass holder. Talk about taking a long shower! We’re always looking for ways to maximize our space and a lot of people are planning pocket doors into their homes during construction for that reason. Pocket doors are one of the single best space savers in a floor plan! Thinking through these subtle, harder to alter details during construction can really help with long term satisfaction. It just takes a little extra planning! Atlantans love their decks and porches! We like to practically live outdoors during nice weather but there are a couple of tips that can really extend the outdoor enjoyment. Screening in porches (or at least part of your porch) creates a bug-free outdoor space that’s great for dining, a kid’s hangout, or a spot for coffee in the morning. Adding ceiling fans or wall mounted oscillating fans to a porch keeps you cooler and keeps bugs away! Having either a mudroom or a bathroom that is accessible to the outdoors is a must-have for many moms. Having a place to clean up kids who are muddy from soccer practice, organize backpacks, or clean up dirty paws helps keep the rest of the house cleaner. Speaking of muddy paws, a dog shower in the mud area or garage keeps Fido out of your tub or shower too. Garages should not be an afterthought! Measuring the depth of your parking spaces and the width of you door can save you so many headaches in the future. Believe me, you don’t want to find out you can’t fit your car into your garage space after construction is complete! Planning electrical outlets and lighting in a garage are important too. We use our garages for so many things besides parking and having enough lighting is key. No one wants to search through ski equipment or lacrosse gear with a flashlight in one hand. And with electric cars becoming so popular, consider adding a high voltage outlet to charge your car. And one last tip for your outdoor space: add faucets and hose bibs to every side of your home. Keeping a long hose under control while you drag it around your house to hose off porches or walkways is a workout. Avoid that hassle by adding shorter hoses (and their plumbing) to all sides of your home. So, what would you add to this roundup? Any great tips or lessons learned during construction? Check out the link from the previous list as well. Renovations, especially kitchen upgrades, are always a hot topic with my friends and clients. I am on several discussion boards on Facebook and recently the topic came up again. I linked them to my last post and they were very thankful. So I thought I’d take any new suggestions and enhance the original blog post. Kitchen renovations can completely change the look and function of a home, and since they can be expensive, homeowners want to make smart decisions that they will want to live with for a long time. Since kitchen renovations can also be one of the best home upgrades you can make in terms of real estate resale, it makes sense to me to make the changes you need to make in order for your home to really work for you and your family. Additionally, I work with builders and always work to keep on top of the trends so they can included them in their home designs. I’ve put together some of the most popular “must-haves” and hope you can find some ideas or inspiration here! Farmhouse sinks: There is a lot of discussion (and differences of opinion) about whether homeowners prefer a large divided sink or a single basin sink, but either way, a big, spacious apron front or farmhouse sink seems to be a favorite and enduring choice. I personally love the deep single basin stainless and my builder has been using the white farmhouse like what is pictured below. Tell me your preferences! Beverage station: keeping the family hydrated during Atlanta’s long (some would say 9 month) summer season without having the refrigerator opened constantly is the challenge that an independent beverage chiller solves. Whether a built-in undercounter refrigerator or a free-standing wine cooler with room for sodas and juice, a beverage station keeps everything accessible and at the right temperature. Double dishwashers: Southerners love family dinners, and they love entertaining, but there’s nothing to love about running out of space in the dishwasher at the end of the night and having to hand wash a pile of dishes. Homeowners are loving the option of a second dishwasher that is capable of keeping up with ALL of their dishes. Under cabinet or countertop plugs: with the trend in high end backsplashes like quartz or marble, people are opting for less visible plugs either as power strips under the cabinets or built into the counter as flush or pop-up outlets. We all know you can never have too many outlets in the kitchen and these options fill that need without breaking up the lines of a gorgeous luxury backsplash. Drawers, drawers, drawers: and I’ll add, pull-outs in general whether for garbage and recycling or for racks for baking equipment and especially for pantries!. Cooks are tired of scrambling blindly in deep cabinets looking for the right size lid for a pot or an ingredient hidden behind boxes in a pantry and are opting for easily accessible drawer and pull-out storage. Appliance garages: with families investing in appliances that they use everyday but don’t necessarily love seeing on the countertop (think Vitamix and Keurig coffeemakers), appliance garages are getting bigger and taller. I’m even seeing them as part of a counter-level cabinet with adjustable shelves where you just close the doors on the practical but not beautiful appliances once you’re done with them. High-end faucets: We all know, accessories can make or break an outfit so one of the most used elements in the kitchen should not be an afterthought! Faucets are also a place where function and design really come together and there are so many beautiful options out these days that can really make your kitchen sparkle. Gold, brass, and copper facets are a bold trend that’s popping up more and more. Like that classic strand of pearls, traditional styles can complete the look of your kitchen in an understated but elegant way. Sleek, modern designs make a statement in a minimalist kitchen. Air switches for garbage disposal: from gorgeous faucets to the mundane necessity of garbage disposals…but the air switch makes the disposal so easy to use and is virtually invisible mounted next to the sink. Clean lines, pleasing proportions: while the feeling of a fresh kitchen renovation is hard to beat, keeping the look fresh for a long time is key. Opt for clean, crisp lines and neutral colors in your built-in elements while getting trendy and experimental with your accessories for long term renovation satisfaction. And pay attention to proportions to maximize your island, peninsula, and cabinets for the kitchen’s footprint. I’ve never hear anyone regret getting as large a kitchen island as their space allows. Islands seem to be the center of the home where everyone gathers, whether it’s getting the kids breakfast in the morning or a fun gathering of friends. What are your kitchen must-haves? There are few things that say “Southern charm” like a comfortable, shady porch. There is something really special about enjoying an iced tea or a glass of wine, having a relaxed weekend meal, or relaxing with a book outdoors on the porch. They say “welcome to my home” and create a timeless first impression. Although our summers can be hot, living in Atlanta means we get at least three seasons of use out of our porches. As a realtor, I’m seeing the screened in porch as a big draw for potential buyers as well. Not only does a porch keep some of the harsh sunlight and heat out of your home, but a screened porch adds a lot of usable indoor/outdoor living space for a fraction of the cost of a home addition. Southern porches can be as simple as a covered patio on the front of the house to a screened room with luxurious furnishings and a fireplace, surround sound, and entertainment center. Furnishings are usually casual with comfort in mind. Rocking chairs are always welcome and it’s hard to go wrong with a porch swing. Adding a ceiling fan can really enhance the comfort level and screening in a porch keeps out pests and makes outdoor dining a breeze. What could be better than summer entertaining with an outdoor kitchen and dining area on a porch? There is a style of porch for every architectural style too, from rustic to neoclassical, low country to modern. Even pool houses and walk-out basement entrances are getting the screened porch treatment. Adding shutters is a classic touch that also creates more privacy on a porch (and is a great place for kids to camp out during sleepovers). Architectural and style trends may come and go, but a classic southern element like a great porch is timeless. Recently a friend called my walk in pantry my Costco closet. Then the other day I had a buyer mention that they needed shelving in the garage or a walk in pantry to use as their Costco Closet. How true! 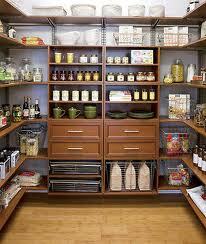 This is a great pantry for large quantities! The closet company is based out of Missouri. This isn’t the first time a new “need” is uncovered as builders begin to catch up to it. Remember washer and dryers in closets? Now everyone wants huge laundry rooms with folding tables, hanging rods to drip dry, and cabinets for washing and drying products. The other thing that dawned on me was how uniquely American and probably middle to upper class this “need” is. This walk-in pantry seems to have it all. I love the drawers and the wood finishes! Years ago a friend from Bulgaria was at my home and laughed at the size of the shampoo containers I had in the guest room, along with a cabinet stocked with toilet paper. She explained that they only made enough money to buy what they need for the week and their homes were too small to store large quantities. Then recently a friend from Singapore was staying with me and she was lamenting about missing the “Big Box” stores. She said when she moved to Singapore she had to take 2 years supply of paper towels as she was warned that they weren’t the same over there. I know I can live differently and have when I was remodeling and basically liveing in a two bedroom apartment. I sometimes think things were easier with less then. As it seems something needs maintained everyday as a homeowner. But for now my pantry will be filled with huge boxes of Costco items for snacks etc. Interestingly enough, you would think I’d face different requests with “empty nesters” as the term applies. You’d think they’d have less stuff – NEVER! They actually have decades of stuff they don’t want to get rid of. Thus they need to have a master bedroom on the main, and huge basements to store the stuff. They aren’t willing to get rid of their huge dining room furniture as they hope the family will come back at least once a year for the big dinner and they need the room for that one day! They don’t want a tiny dining room, because if they are going to use it, it needs to fit EVERYONE! I think the 1960’s ranch plan is what is still desired by many. I realize the larger foundation is more costly, but empty nesters want everything on the main and are only willing to stick about 2 bedrooms ups. A lot of current buyers think that floor plans that builders built in 2005 aren’t really working today, forget the Jack and Jill baths, every kid needs his/her own bath! I grew up sharing one bath with three brothers, but today heaven forbid a boy and girl share a bath. Perhaps builders need to pick a specific demographic and design for that. There isn’t a one size fits all anymore. I always tell sellers that there is a buyer out there just like them and that’s the person that will buy their house – so true. Sometimes that pool of people is narrow and sometimes it’s wide. You’ll get a better price and sell quicker if the pool of people is wide, but you’ll always be able to sell at some price. I have had people ask me over the years about my garage doors. I have solid wood carriage style doors and I believe from the feedback I get that they make a real impact on a home. I just happened across a website that has great pictures and ideas to put barn style doors inside as well which many of my friends have now as it’s very in-style. Take a look at their website and consider upgrading your doors if they are visible as I think it will add value next time you go to sell your home. I custom ordered mine at Home Depot, but it seems there are lots of speciality places now. Take a look at Real Carriage Doors’ website and consider upgrading your doors if they are visible as I think it will add value next time you go to sell your home. An appealing pool located at a Vinings home for sale that was listed by Tina Hunsicker. While the summer is quickly coming to a close, the temperatures are still high in metro Atlanta. There are still many days left in the pool season! Swimming pools are a fun amenity to have in a home and I have lots of clients each year looking for a house with a pool or considering to put one in their current home. As with any amenity, location and type of pool, and considerations on how to reduce ongoing maintenance are key factors. I do believe a pool adds value, however that value is diminished if the location of the pool or features of the pool don’t fit the house, neighborhood or lot. I may have a few appraiser friends that can add a statement here as to their impressions, but I’ve seen appraisals come in with as much as a $50k bump for the pool. That being said, good sized pools with the right equipment, decking and landscaping can easily cost $100,000. Many people enjoy their neighborhood pools and country clubs, but there’s still nothing like the convenience and beauty of one in your own backyard! In my own home, we thoroughly enjoy our pool as well! Below are some comments I’ve taken from the advice of a friend combined with my own thoughts, experience and recommendations when considering having your own pool. My suggestion would be to try and gauge how comparable the proposed pool would be to the pools located at homes that have recently traded in the target price point of your home. For example, some of the things I mention below may not apply if you have a $300,000 home, but would be a must at the $1M price point. I’ll add a caveat here that many people get frustrated with their pool contractor, so check as many references as you can that are close in location to you. A heated salt-water pool with an interior finish that is either pebble-sheen or pebble-Tec, along with some amount of useable and attractive stone flat deck space for lounge chairs, etc., as well as space for any safety fencing that may be required. This automatic pool cover protects a lovely rectangular-shaped infinity-edge pool with a fantastic view. I also believe that having a rectangular pool with an automated cover will help in resale if the buyer has small children or really wants to minimize maintenance. The cover reduces evaporation, reduces chemical usage and really keeps the pool clean of debris. In terms of the interior pool finish, Pebble-sheen is the smoother variant of pebble tech but has similar optical properties in terms of interesting water color. Conventional white plaster shows every kind of dirt, so it’s tougher to maintain. Mechanicals are important, and in terms of the heater, a +/-400,000 natural gas BTU heater at a minimum for pools 10,000 gallons or more is desirable, especially if there’s a hot tub. Exploring feasibility of solar options for pool heating would be an excellent idea, especially given energy costs these days. A solar feature would certainly further distinguish the property. I like the idea of having a hot tub separately as it takes a special design and eats up pool space to have one under the automated cover. Separate hot tubs are less expensive, more comfortable and easier to maintain. In terms of maintenance, I love the Polaris automated cleaning robot. If they are configured correctly and maintained, they work very well. Another popular but more costly option is the self-cleaning jets in the pool floor. I have heard nightmares about their repair and replacement and the cost may not justify the means. There could be some other self-cleaning technologies out there too that your pool contractor can discuss with you. Maintenance costs of pools are so much less than they use to be. Having a saline/salt water pool requires next to no chemicals. Additionally, pool services aren’t really required if you have the cover and salt systems. If you don’t have the desire to maintain your own pool there are many services that are under $50/visit and you can have them every other week. Chemical balance can be maintained very well through a salt-water pool’s automated chlorination catalyst. Old pools can be remodeled to have the newer features such as: auto-fill feature, salt-water conversion, fountains, Polaris, automated covers etc. You are currently browsing the archives for the Home Amenities category.